pick the winners, and let you know who wins. and precious shoes with lace trim. Hope she is happy in her new home! let me know a little about you! 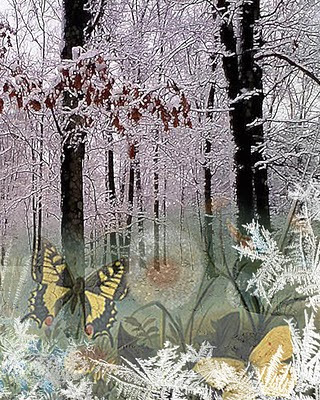 Here is a little woodland scene filled with frostiness. although there are none here now.